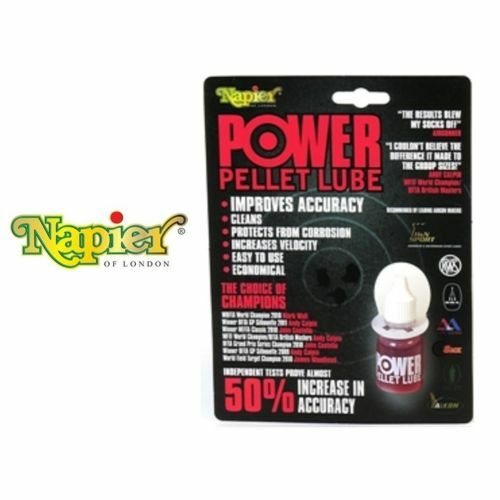 A quite remarkable simple to use product that will improve accuracy with any pellet and on any type of airgun guaranteed. The unique complex formula does much more than lubricate, in fact it creates a chemical seal around the skirt of every pellet, ensuring that it will not skim or tear on the rifling of the barrel. This is turn greatly improves the gyroscopic effect and results in improved flight, with dramatic improvement in accuracy.